Kaby Lake is the 7th generation of the Intel Core processor architecture but, while the boring mobile chips have already landed in the sort of laptops the suits love, the proper gaming CPUs have only just been released. Will Kaby Lake maintain Intel’s current dominance of our best CPU for gaming guide? The Intel Kaby Lake processors represent the stutter in Intel’s seemingly defunct tick-tock CPU release cadence. Where once Intel produced their processors with either a shrink in transistor size (tick) or a whole new architecture based on an existing process (tock) from now on Intel will also be producing a middle generation of chips using the same architecture and the same production process. So, Tick, tock is dead. Now it’s Process > Architecture > Optimisation. Doesn’t trip nearly so easily off the tongue, does it? Using the existing process and the same architecture would maybe suggest there’s little interesting about these new CPUs, but does that tell the whole story? Click on the jump links below to skip to the different Kaby Lake-y sections. Intel Core i7 7700K review. Intel Core i5 7600K review. Intel Core i3 7350K review. We originally thought Intel were following the release strategy they followed with the Devils Canyon Haswell refresh on the desktop. 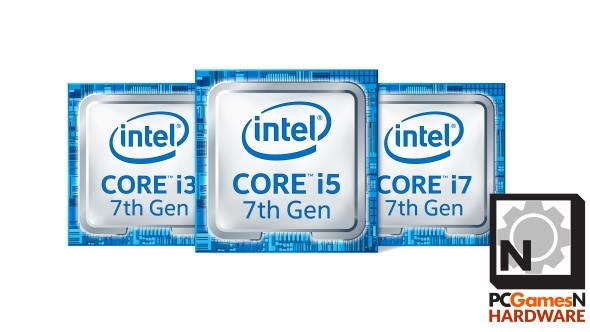 That half generation update only included newly optimised Core i7 and Core i5 processors, but Intel have given Kaby Lake the full beans with Core i3, Pentium and Celeron versions of the 7th Gen cores as well. This is a full CPU generation and no mistake. The top Kaby Lake chip is the Intel Core i7 7700K. It is set to arrive with a base clockspeed of 4.2GHz and a Turbo clockspeed of a heady 4.5GHz. That makes it the highest-clocked consumer processor Intel have ever released. The closest we’ve got before was the Devil’s Canyon Core i7 4790K which was capable of a Turbo speed of 4.4GHz. But, in all honesty, it’s a bit of a disappointment. The i7 7700K is not a bad chip, in fact it’s the most advanced, highest-clocked Core i7 Intel have ever created, it’s just that it does practically nothing you couldn’t do with a modestly overclocked Core i7 6700K. It may be slightly cooler and require slightly less juice to run at its stock clockspeed, but it’s certainly not a generational upgrade over Skylake in performance terms. And if you were hoping it might offer improved levels of overclocking, with easy access to 5GHz, you might be disappointed. Our initial review sample has only managed a stable 4.9GHz – a miserly 100MHz uplift on the 6700K – and while we could boot and game at 5GHz it wasn’t 100% stable across the breadth of our benchmark suite. The lower-end K-series Core i5 7600K is a little more conservative with its clockspeeds, rocking a 3.8GHz base and 4.2GHz Turbo frequency. But don’t be fooled by that, it’s actually the quickest Kaby Lake chip we’ve been able to test when you get a little matey with the overclocking settings of your motherboard. The Core i5 7600K could well be the new overclocking hero of this generation. I’ve been able to hit a rock-solid 5.1GHz with my sample, and that’s without having to get creative with the CPU voltages either. 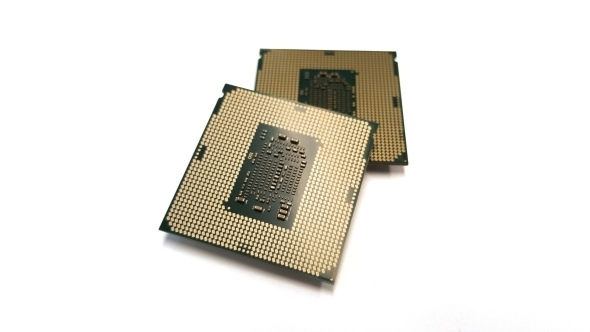 I don’t think it’s a very bold claim to say the i5 7600K is a worthy successor to the 6600K as the new king of the gaming CPUs, though that Core i3 7350K could well have put up a bit of a fight and become the go-to chip for anyone looking to build a gaming rig on a tighter budget if Intel had priced it a little more aggressively. The 7350K is a dual-core CPU, but has HyperThreading enabled to deliver a full four threads of processing power as well as a high 4.2GHz Turbo speed and the potential for some seriously high overclocked operating frequencies. It’s the first time Intel have launched a K-series chip outside of the Core i5 and Core i7 ranges and could have been aiming squarely at any AMD attack on the budget end of the market with their new Zen lineup. At the moment though it’s largely irrelevant because of how closely priced it is compared with a straight quad-core i5 7400 chip – when Zen arrives Intel may take a hatchet to the 7350K’s cost to make it competitive. The rest of the Kaby Lake lineup are going to be lower-powered 65W and 35W parts and will come with greatly reduced clockspeeds as standard and no Turbo or overclocking performance. MSI Z270 Gaming M5 review. Asus TUF Z270 Mark 1 review. Asus ROG Strix Z270i Gaming review. Kaby Lake’s CPUs use the same LGA 1151 socket that was introduced along with Skylake, making them pin-compatible with older boards. In fact most of the big motherboard manufacturers have already either released or announced new BIOS updates for their Z170 boards to provide compatibility with the Kaby Lake CPUs when they’re finally launched in January. 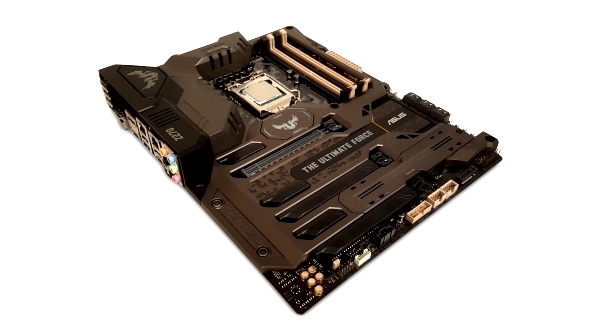 So, why would you bother with a Z270 board when pretty much any old Z170 mobo will take the new processors? The new 200-series chipsets aren’t going to be vastly different from the current 100-series boards, but will provide more PCIe 3.0 lanes – up to 24 from 20 – as well as support for Intel’s advanced new Optane SSD and memory technology. Optane uses the 3D XPoint technology jointly created by Micron and Intel, which is designed to offer a step-change in memory performance over the traditional NAND memory used in RAM and SSDs. It’s potentially 1,000x faster, with 1,000x the endurance levels and 10x denser than conventional NAND-based memory. Intel reckons it will have the first Optane SSDs out before the end of the year, with volume shipping to follow later on in 2017. As well as the Z270 chipset Intel are also releasing H270 and B250 versions for the mid-range and budget ends of the spectrum too. 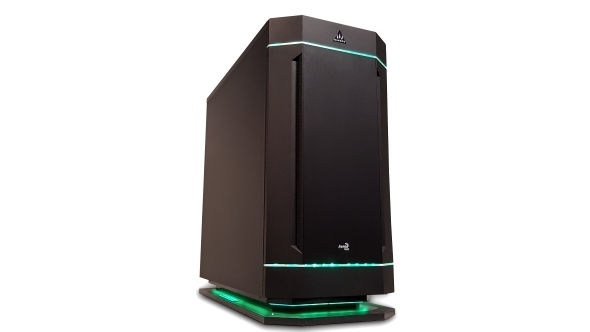 DinoPC Primal GT4 Stealth review. The new Kaby Lake range of motherboards and processors make the most sense when we’re talking about buying a full PC. Unless your current rig is over five years old then the benefits of upgrading your existing setup to Kaby Lake are going to be pretty minimal. If you’re making a fresh start though it makes sense to go with the most up to date components you can. New PCs are now likely to all be kitted out with a 7th Gen Core CPU if they’re going to be sporting an Intel platform. The first Kaby Lake PC we’ve checked out has come from DinoPC and is an 7th Gen i5 update to their existing Primal GT4 Stealth machine. This is likely to be representative of most system integrators’ approach to Kaby Lake builds – taking their existing Skylake gaming machines and simply updating them with the new motherboards and processors.